Shannon Kaiser has been labeled a modern thought leader on the rise by Café Truth. She is the best- selling author of Find Your Happy, an Inspirational Guide to Loving Life to Its Fullest, and a five-time contributing author to Chicken Soup for The Soul. She is an inspirational author, speaker, travel writer, and life coach who left her successful career in advertising several years ago to follow her heart and be a writer. Her unique and adventurous twist to self-help inspires people to take risks and embrace the unknown so they can live openly and courageously from their heart. Her website PlayWithTheWorld.com was named top 100 self-help blogs on the Internet by the Institute for the Psychology of Eating. Her sought after ideas have been featured in media outlets across the world such as Good Morning America, Good Day New York, Inside Edition, HuffPost Live, and she is an online columnist for MindBodyGreen, Yahoo Voices, Healing Lifestyles & Spas, Examiner, News.com.AU, Tiny Buddha, and The Daily Love. “Strip Down” and get back to basics. You will have more clarity, more passion, more joy and more connection with “self.” When you “declutter,” it will be more liberating, and extremely transformative. With simple baby steps, one at a time, you will work on physical barriers and internal barriers (thought patterns). It can be as simple as removing physical things in your “area” that are no longer working: pictures, clothes, relationships, jobs, etc. Then you will dig deeper and work on your thoughts that are no longer serving you, and remove them. When you remove the internal and external things, you make room for other, better things as well as making “energetic shifts.” You can do this when you feel overwhelmed in any area of your life. Finding your “Happy” takes Courage but we all have it inside of us. The happiness is inside you … stop looking for happiness outside what is going to make you happy? Remove barriers that keep you from being happy. Follow your joy route ~ Follow your bliss. Access what brings you joy. Take small steps and dig deep. 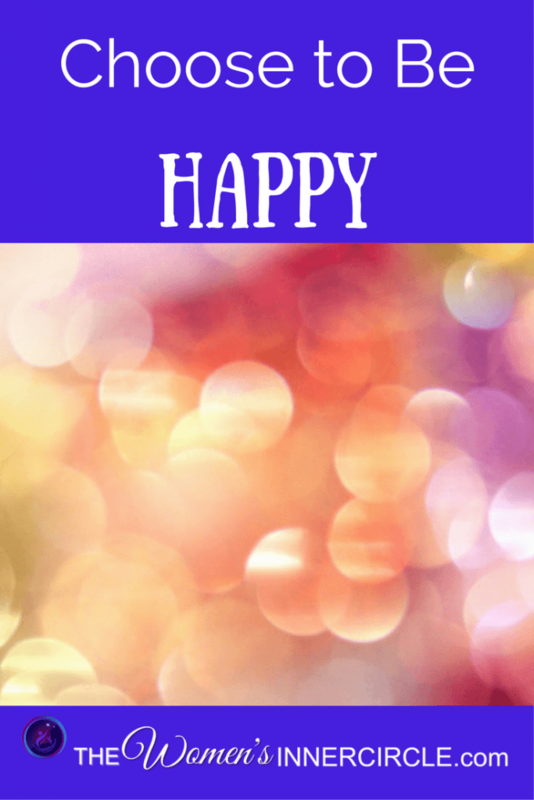 Take small happy steps … The Big picture – can be overwhelming. Don’t focus on that. Put one foot in front of the other and work on one thing a day. Don’t just accept your lot as being overworked and under joyed. Put yourself into the equation of your life. Take a stand and say I’m worth it. Rephrase the question in your mind: What if life isn’t happening TO you but happening FOR you? You can’t create more of what you want unless you appreciate what you have ~ express gratitude. When you actively participate in your life, it becomes a beautiful dance and you truly find Your Happy. You Can Find Shannon’s Book on Amazon by clicking here. 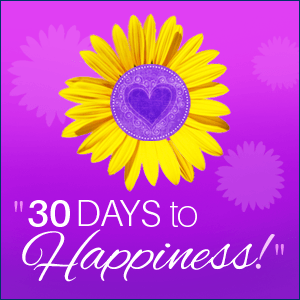 Have you joined our 30 Days to Happiness yet? Click here to join our Movement and be sure to introduce it to friends and family who would benefit from a Daily Dose of Happiness each and every day.